Mixing mason jars and crochet has never been cuter. 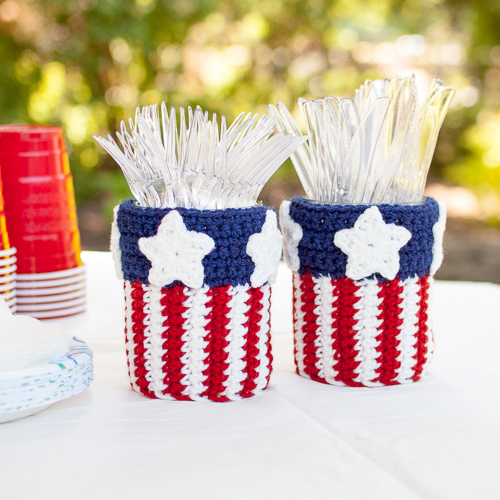 This crochet mason jar utensil holder is perfect for the upcoming Fourth of July holidays. Get the instructions and free pattern over at Petals to Picots. Make as many of these as you wish to dress up your patriotic party.